Travel with us to the burgeoning capital of our neighboring state of Sonora, Hermosillo where we will take in all of the cultural and cosmopolitan opportunities the city has to offer. 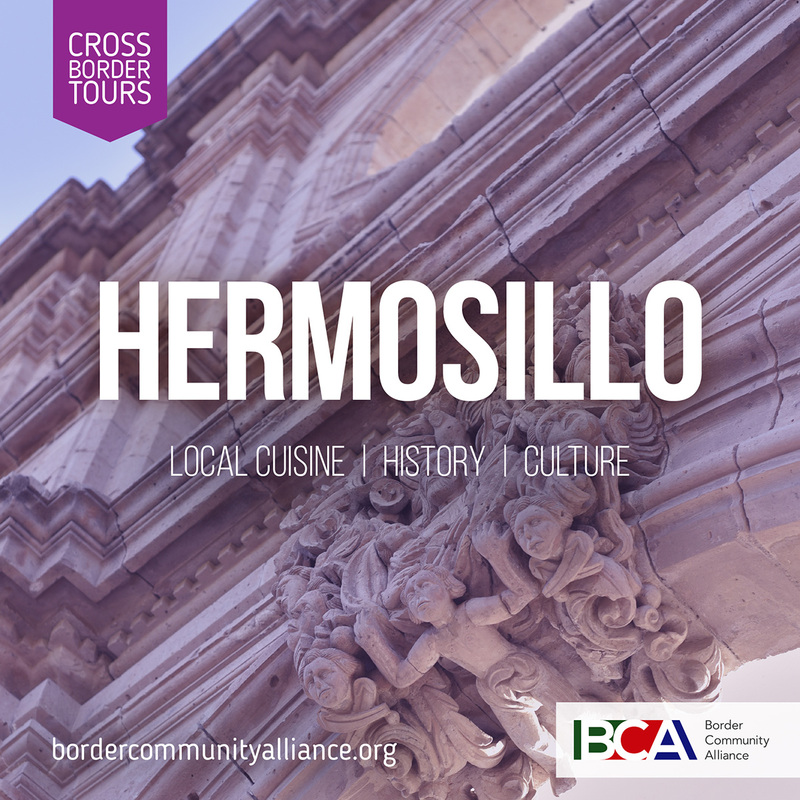 This two night stay will provide tour guests with an overview of the city's history and its significant sights, making the case that Hermosillo is a unique destination rather than just a stop on the way to Gulf beaches. Guests will experience the Mexican muralist art tradition at the Palacio de Gobierno, observe the Sonoran sunset from the top of the city's emblematic Cerro de la Campana, and visit the historic old quarter of town, Villa de Seris, world renown for its coyotas, among others. Hermosillo's modern gastronomy will also be highlighted, representative of the state's famous ranching and Sea of Cortes fishing economies. NOTE: After meeting in Nogales, Arizona we will immediately walk across the border to load the van and begin our journey. An orientation will be given as we travel.